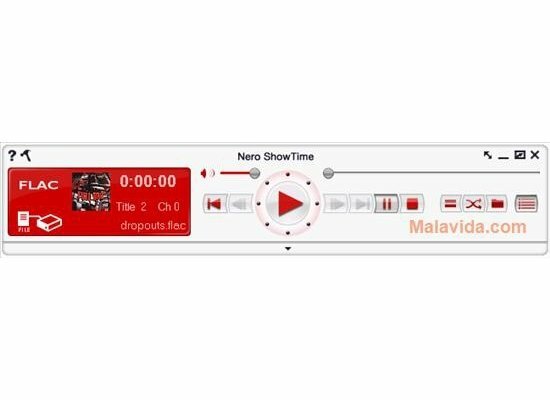 Nero is one of the most used multimedia playback and burning software applications on the market, but it has a small flaw, or it at least it had it in older versions of the software, because it didn't offer you the possibility to play the FLAC (Free Lossless Audio Codec) format, the best audio system to be able to make audio copies without losing any sound quality. To be able to settle this drawback, it's necessary to have FLAC Nero on your computer. FLAC Nero is a DLL file that contains the instructions necessary to make sure that Nero can recognize the FLAC format. After downloading it, the only thing that you have to do is extract the DLL file that is compressed inside a ZIP, and place if it in the Program Files\Common Files\Nero\AudioPlugins folder, and from that moment onwards you will be able to enjoy your music in FLAC format on your computer. Therefore, if you want to enjoy one of the best audio formats while you use one of the best playback and burning systems, download FLAC Nero right now. This download requires a ZIP compatible compressor. For Nero 7 and Nero 8 you have to place the DLL file in the "Program Files\Common Files\Nero\AudioPlugins" folder. For some Nero 9 programs you have to place it in the "Program Files\Nero\*Nero Program*\AudioPluginsMgr" folder.